Single unit of our Chocolate Mint Elixir Drops Tincture. 500mg CBD. 2oz. 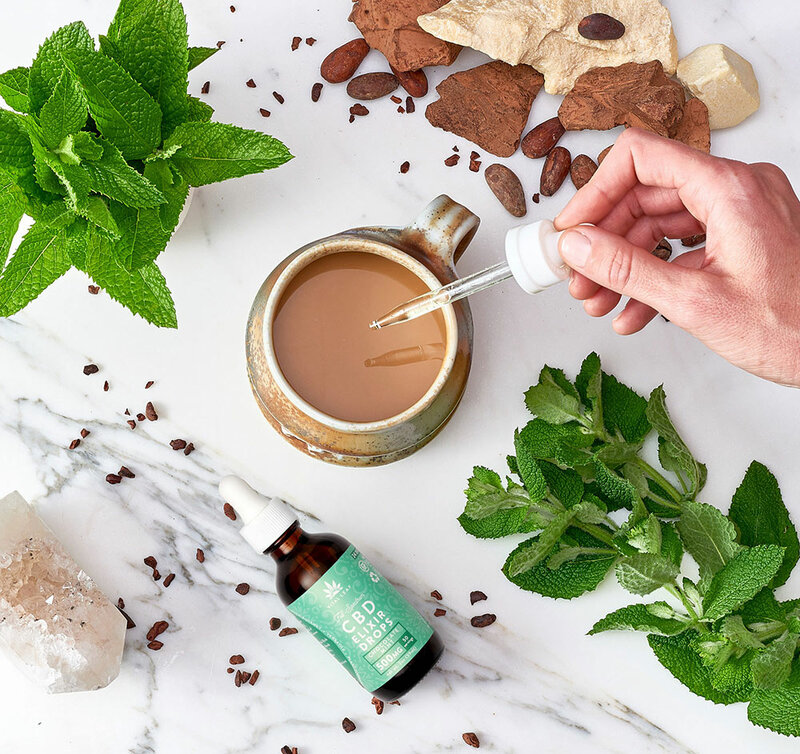 Our Chocolate Mint CBD Elixir Drops are formulated using solvent-free, high-potency, full-spectrum phytocannabinoid-rich hemp extracts. INGREDIENTS: Organic Coconut-Derived MCT Oil, Proprietary blend of Organically Grown Full-Spectrum Phytocannabinoid-Rich Hemp Extracts, Monk Fruit (Lo Han Guo), Theobroma Cacao Extract, Wild-harvested Peppermint Extract.